Which is why we offer a range of delivery services to suit almost every need. Within Dubai, we use a combination of our own friendly drivers and a team of trusted couriers. Prior to your delivery, we or the courier team, will be in touch via phone, sms or whatsapp to confirm a delivery time that is convenient for you. Please let us know in advance any specific timing requests. Please note that we allow a maximum of 20 minutes waiting time from the time agreed for delivery. Please notify us in advance if you need to reschedule by calling +971 4 349 9840 or sending a whatsapp to +971 50 331 4940. At time of booking: Please provide the full and correct booking name for the hotel reservation. Prior to Arrival: Please email the hotel in advance to notify them of our delivery, some hotels will not accept deliveries before the guest has checked in. Upon Departure: Kindly leave all the Products with the Hotel Concierge under "Skytots" to allow us timely collection. Please do not leave the Products in the room as they can be mistakenly considered lost property. For Dubai, we provide airport delivery services for Dubai International Airport and Al Maktoum International Airport for arrivals and departures within our operating hours only (see above). We allow for a maximum of 1 hour waiting time. For Abu Dhabi, we provide airport delivery services for arrivals and departures between 10am and 5pm 7 days a week. We strive to always meet our customer’s needs and can provide a same day delivery service upon availability in our delivery schedule. For Dubai, the standard Dubai delivery fees apply regardless of order value (within Dubai city limits). Please call us directly on +971 4 349 9840 should you require same day delivery service. Please note that we require at least 48 hours notice to provide delivery to Abu Dhabi. To provide you with the best value, we now provide Abu Dhabi delivery service (within the Abu Dhabi city limits), by one of the UAE’s leading couriers to ensure you get your equipment safely. 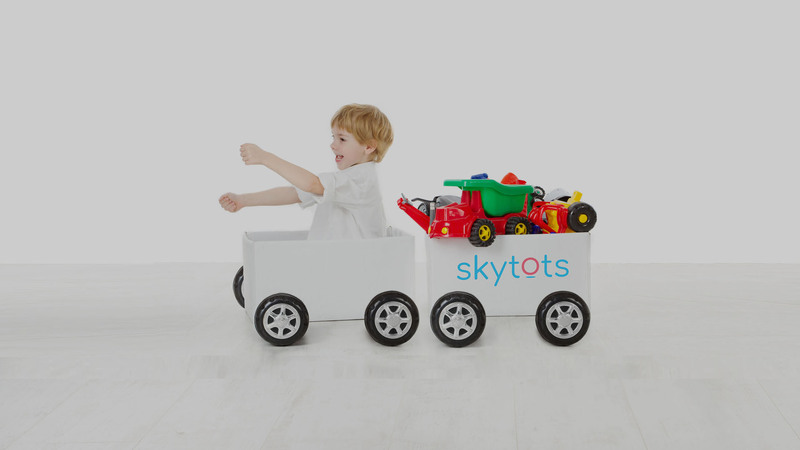 As this service is not provided directly by our Skytots team, we are unable to provide installation assistance, however, manufacturer’s user manuals can be found on our website. Our delivery partner operates between from 9am and 5pm Saturday to Thursday - we do not deliver on Fridays. The courier will contact you in advance to confirm you will be there to receive it. Should you require delivery outside of these times, or on a Friday or public holiday, please contact us for a quotation. We provide airport delivery services for Abu Dhabi International Airport and Al Maktoum International Airport for arrivals and departures between 10am and 5pm 7 days a week. We allow for a maximum of 1 hour waiting time. We do not offer same day delivery services for Abu Dhabi at this stage. Delivery and collection to other Emirates is possible, however, we require at least 3 days advance notice. For delivery to Outer regions or other Emirates excluding those listed above, please contact our customer service team directly at hello@skytots.com with an outline of your desired equipment so we can accurately provide you with a quotation.